NTR Mahanayakudu release confirmed for 22nd February 2019. Rip in advance, another propaganda movie on its way this time for his political party. It's now or never. Election commission will not allow to release the film if they miss this date. And releasing it in May/June means bigger loss. And the only reason for this movie to exist is upcoming electio. So they've no other choice. I'm lot more interested in RGVs Lakshmi'sNTR than Balayya Mahanayakudu. Either way both are a wasted attempts only with none of them willing to show anything real. Or in case of Balayya's version, even the little bit truth will be shown extremely exaggerated. I like rgv style of making dark action and narration of drama....That will definitely accentuate the fun of watching vennupotu drama ] . Like winners writes history....Politics/public emotions make biopics i don't expect any realism from any of these biopics. NTR Biopic first part titled Kathanayakudu & second part titled Mahanayakudu, will release on 9th January & 24th January 2019 respectively. Director Krish has 2 epics releasing simultaneously, NTR Mahanayakudu (24th Jan) & Manikarnika (25th Jan). 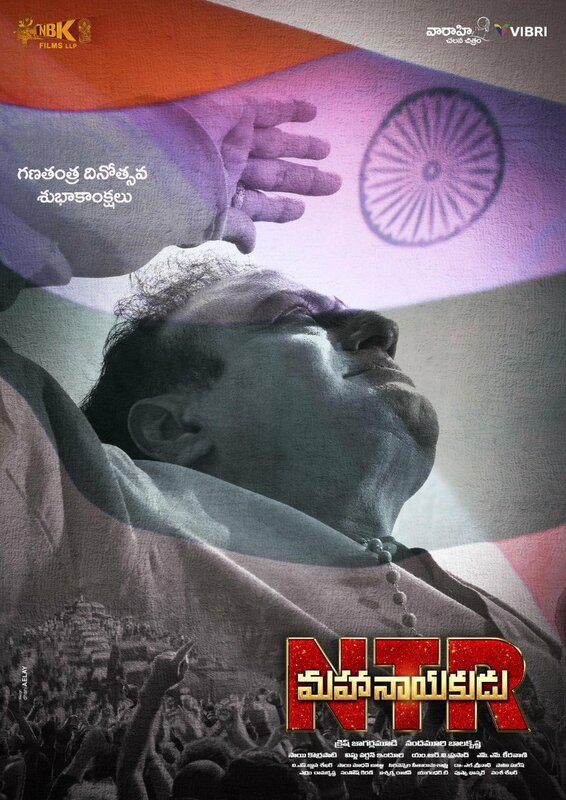 Brand new posters of NTR - Kathanayakudu declaring it as Historical Victory. Telugu people's victory & Telugu Cinema's victory.